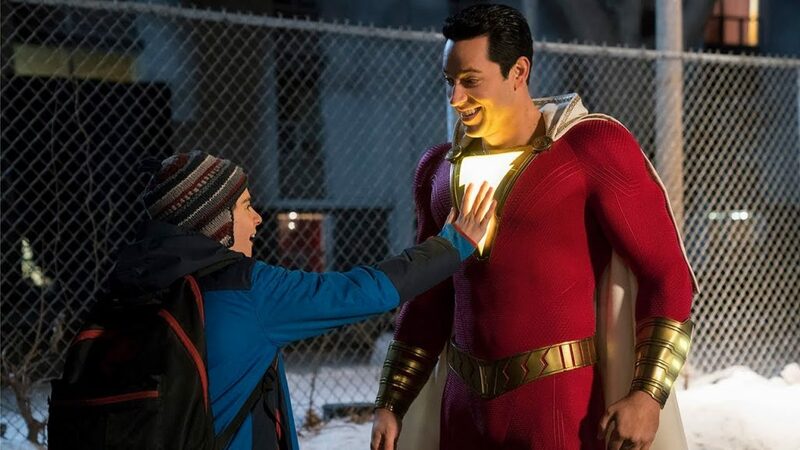 Having nearly exhausted his quest for an heir to his powers, an ancient wizard (Djimon Hounsou) happens across kind hearted (but misguided) 14-year-old Billy Batson (Asher Angel) and grants him the powers of the super hero Shazam (Zachary Levi). Unbeknownst to Billy a rejected heir (Mark Strong) has thrown his lot in with the evil forces of The Seven Sins and Shazam must do battle to save the world. The concept of a 14 year-old boy suddenly being granted superpowers (and the body of a grown man) is rife with comedic potential that is exactly what it’s played for here. Zachary Levi, as the adult iteration, carries the film with his warm comedic performance and screen stealing charm, his Shazam is undoubtedly a character that you will want to see return and certainly the breath of fresh air that DC were in dire need of. The film has more heart than the rest of the DC films combined and it’s not only consistently funny but also heart-warming in equal measure, Billy Batson’s foster family are good natured and give the film a surprising amount of emotional heft. The performances from the young actors are solid across the board, with special mention going to Billy’s geeky sidekick Freddy Freeman (Jack Dylan Grazer) who manages to keep up with Zachary Levi’s super powered quipping. It’s a shame then that despite all the positivity the film gets dragged into the same trap that befell Wonder Woman (and to a lesser extent Aquaman) we get (what feels like) a 30 min finale that to be frank is just a bit dull, it’s a bland CGI smack down that we’ve seen time and time again and whilst Marvel can certainly be guilty of the same thing, their efforts are at least never boring. Mark Strong’s villain isn’t the best either, he’s great at this kind of role but we’ve seen him play this type of bad guy too many times now to make him enjoyable here, it’s not that he is bad just that Zachary Levi is so good he needs a bigger personality to play off against. The good just about outweighs the bad however, and whilst this and the other recent effort Aquaman may not quite be up there with the calibre of Marvel’s output, if DC continue improving at this pace then we may end up with a golden age of comic book movies on our hands.